Richard Ferdig is discovering better ways to take the classroom to the computer. For the 700,000 K-12 students nationwide who go to school online, Ferdig’s research is at the forefront of their education. Nearly 100,000 of those students are in Florida, and that number is expected to reach a million within a few years. Despite a surge in the number of students in Florida and nationwide who take online classes, research in online education is still at a minimum. In 2004, Ferdig was one of just eight researchers in the nation studying virtual schooling. In 2006, Ferdig began to study online schooling in nine states; this research quickly expanded to 26 states. Since then, Ferdig has focused on three main areas that affect virtual schooling: data collection, teaching tools and teacher preparation for online schools. To improve teaching, Ferdig has researched gaming as a teaching method to stimulate students’ interest. This research resulted in a book, IGI Reference, which will be published in 2008. Ferdig is currently working on a project specifically focused on female and minority students’ interest in math, science and technology. 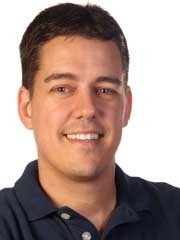 He is an editor of the International Journal of Gaming and Computer-Based Simulations and an associate editor for the Journal of Technology and Teacher Education. Ferdig’s work has culminated in a second book, North American Council for Online Learning, which will also be published in 2008. His research has also been recognized internationally – recently he received an International Educator award. His virtual schooling research has been used in England, Denmark, Barcelona and Africa. He has presented his work at more than 60 conferences locally, nationally and internationally. In the past five years, Ferdig has been responsible for more than 80 publications, including two books, 28 grants and almost $1 million in funding.